High above treeline in Rocky Mountain National Park, a slope of sunflowers, also known as "Old Man of the Mountain" rests easy in the last sunlight of a July evening. These sturdy and beautiful Colorado wildflowers are often found in the rocky crags and meadows in the the high country. 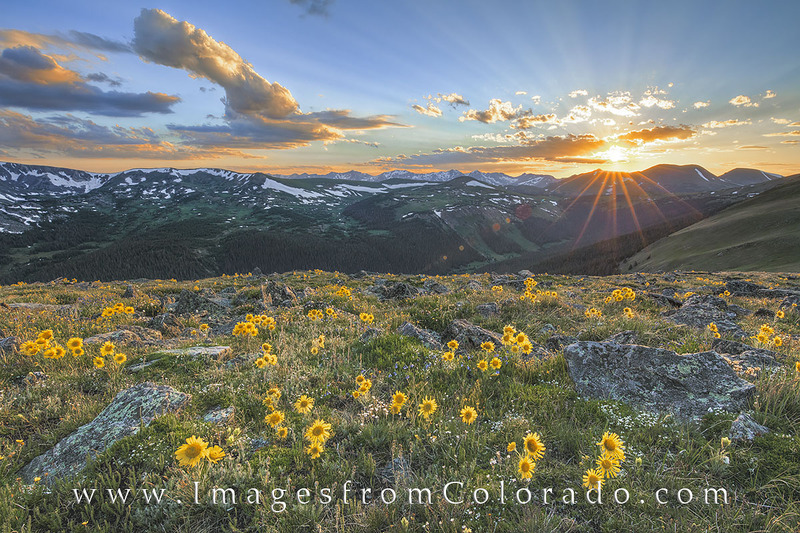 These blooms I found just off of Trail Ridge Road, and the sunset made the evening unforgettable. This image is available in larger and custom sizes. Please contact me for specific requests. Photo © copyright by Rob Greebon.